The semester may be winding down but there is no shortage of activity and obligations for students and faculty alike. 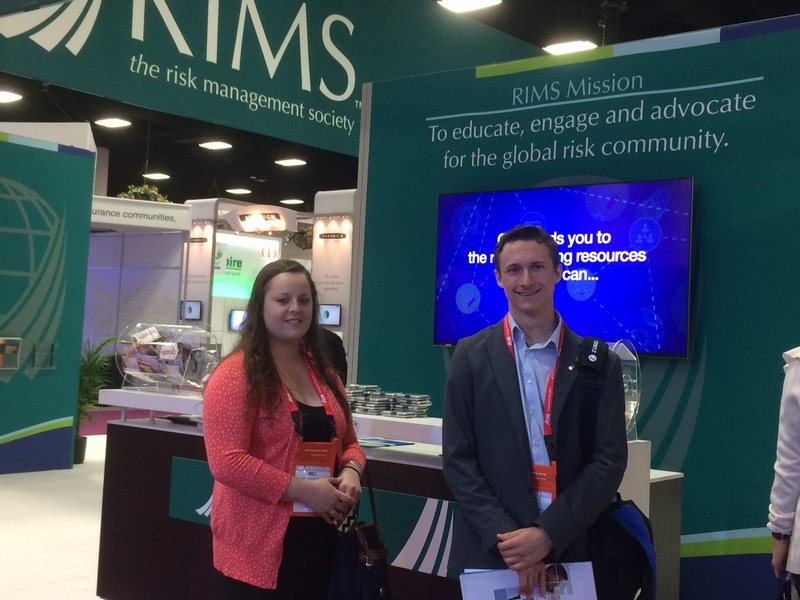 So it was particularly refreshing to spend a few mid-April days at the RIMS 2016 annual conference in San Diego with two Ferris State Risk Management and Insurance students, Melissa Klinger and James Freid. The conference and the venue were both exhilarating experiences just before the end-of-the-semester final push. Melissa and James experienced the incredible scope of the conference and the industry itself, from the moment we strolled into the opening breakfast session and keynote speakers, to the vast exhibit hall, and the dozens of educational sessions. We had a very enlightening conversation with representatives from the captive insurance industry that was entirely an instance of serendipity as we sat down at a random lunch table one day. James Freid: “The RIMS 2016 conference in San Diego blew me away. The conference made me excited to graduate and begin my career. At the conference I met many professionals in the Risk Management field and was able to get my name out. I was exposed to a side of the industry I did not realize existed based on textbook learning. The most interesting part of this area of the industry was the captive insurer’s area. Captives make up a much larger portion of the insurance industry. There were about ten different states attempting to attract captives to come to their respective states. It was really interesting having the opportunity to meet professionals working with captives to learn where this section of the industry fits into the industry as a whole. The second half of the conference was focused on different sessions on risk management topics. My favorite session was about calculating loss reserves and how companies can forecast the overall cost of loss. These sessions allowed for students, like myself, to gain a glimpse into day-to-day functions of a risk management professional. I couldn’t have summed it up any better myself. Nice job Melissa and James. This entry was posted in Insurance, RIMS, Uncategorized and tagged RIMS, RIMS2016 on April 29, 2016 by drdavidallenbrown. The Risk and Insurance Management Society (RIMS) annual conference will be held in San Diego, California next week. I will be attending along with two students from the Ferris State Risk Management and Insurance academic program. As I type these words, I am watching snow flurries floating through the Michigan “spring” air. The palm trees of San Diego are looking mighty inviting right about now. 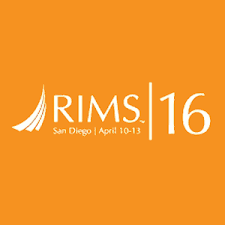 RIMS is one of (and perhaps) the largest gatherings of risk and insurance professionals. It provides never-ending opportunities for learning, networking, and collaboration. I always relish the opportunity to take students to this industry event and watch their reaction as they gain a new appreciation for the scope and impact that this industry has on business and society. There will be more to say once we arrive at RIMS 2016 and begin to take in the keynote addresses, educational sessions, and exhibit hall offerings. I will endeavor to post a few blog post updates that will be disseminated through my other social media channels. I also intend to ask the students to provide their perspective on the event that will be shared here as well. Until then, I’m trying to ignore the snow outside my window and just imagine the Pacific Ocean breeze and warm sunshine. This entry was posted in Conference, RIMS and tagged RIMS, RIMS San Diego on April 4, 2016 by drdavidallenbrown.